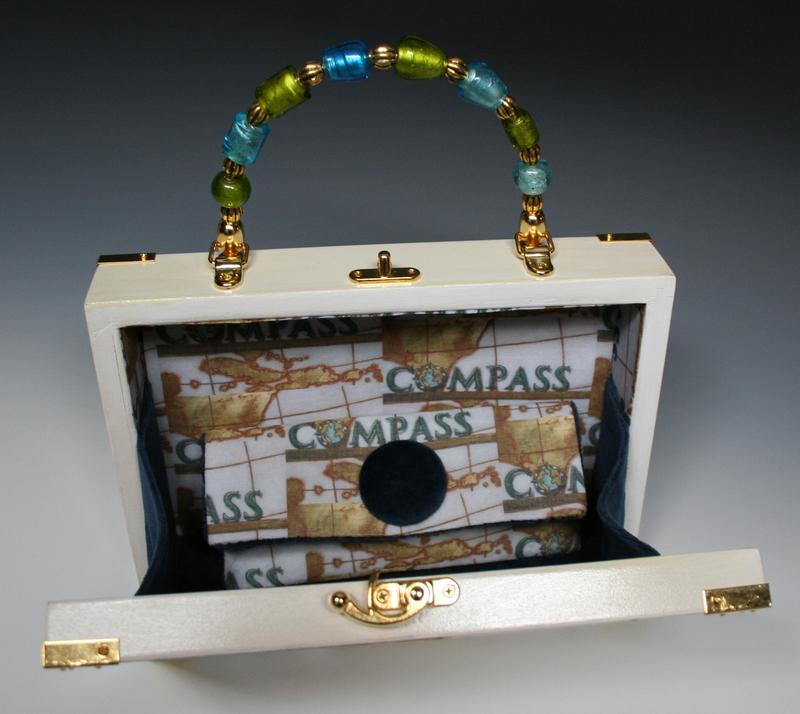 I learned the hard way that you should never turn down an opportunity. When I was a freshman in college, I applied to be a foreign exchange student in Japan, and after I was accepted, I backed out. I was afraid to be away from home for one whole year. I’ve regretted that decision my whole life. I also learned that when certain opportunities present themselves, you have to act on them, because you may never have the chance to do them again. I ask for what I want now, if the answer is no, I’m okay with that, because the next time I have a chance to do something I want to do, I will forge right ahead. I never want to look back and say, “damn I wish I would have done that”. I’ve been to all three Hollywood premieres of The Lord of the Rings (as well all three after parties) and even borrowed the executive producer’s limousine to take me back to the Motel 6 where I was staying at the time! I’ve been a celebrity wrangler at the Palm Springs Film Festival where I outfitted the legendary composer, Michel Legrand, with a bowtie he never paid me back for, and managed to swing a backstage pass to a David Bowie concert where I met the great film producer, Ray Stark (who left his table and a fleet of people lined up to pay homage to him, to greet everyone at MY table when I naively asked if he would mind saying hello to my friends!). I’ve been behind the scenes for the chuckwagon races at the Calgary Stampede, toured the stables at Cavalia (Cirque du Soleil on horseback), soaked in sulphur hot springs in Thermopolis, Wyoming, taken a helicopter tour of Kauai, auditioned for Expedition Impossible, Project Accessory AND The Amazing Race. 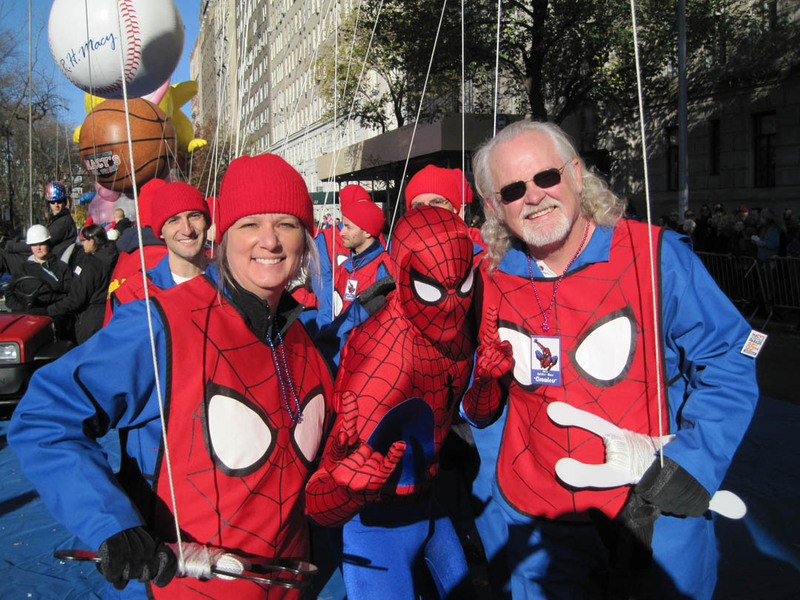 Last year a friend of mine introduced me to a friend of hers over drinks, and when I found out that he was a flight captain for the big balloons at the Macy’s Thanksgiving Parade, I immediately asked if I could participate. I have always loved MIRACLE ON 34TH STREET and watch it every year after setting up my tree. I know every frame of that movie by heart and I still cry every year when Natalie Wood gets her dream house. I swoon whenever I drive through Teaneck, New Jersey (if you need to ask then you don’t deserve to know!) 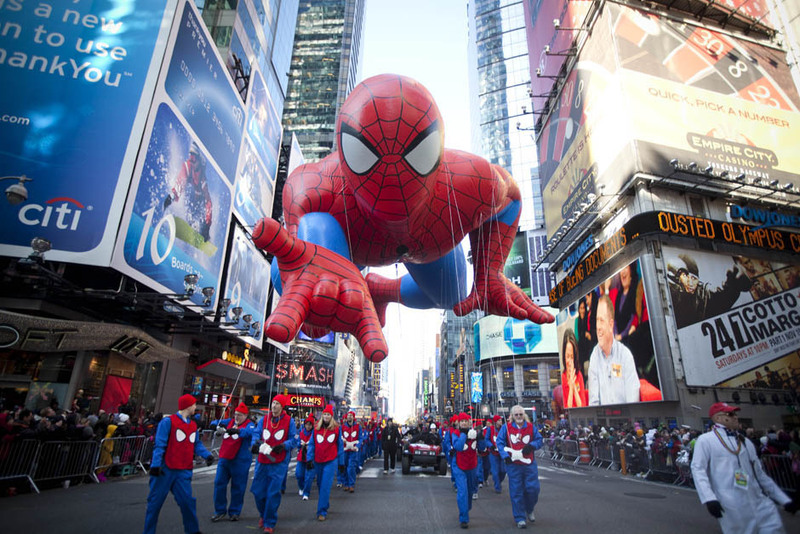 so being a part of the Macy’s Thanksgiving Parade experience shot to the top of my bucket list like a rocket. 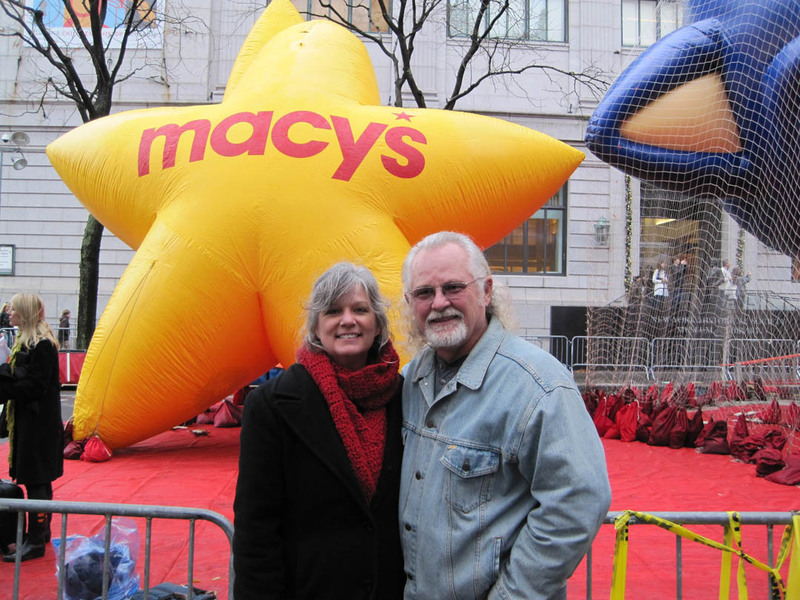 You can’t just call Macy’s and ask to be a balloon handler; you have to be sponsored by a current participant, and they give first crack at the balloons every year to Macy’s employees. 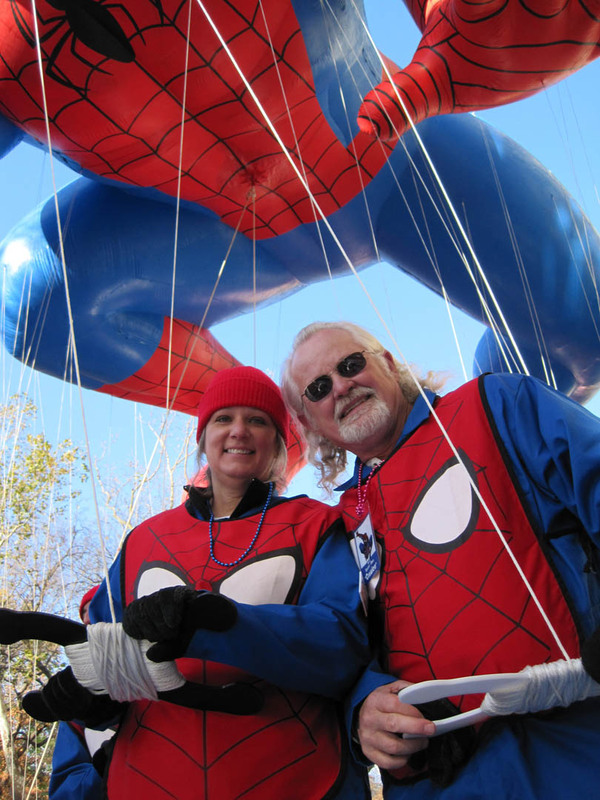 Because there are about 1800 volunteers for the parade overall, spaces do open up, and this past April, we received our online application to be balloon handlers for none other than the Spiderman balloon. With the help of a very generous friend who agreed to trade a hotel room for artwork, we were able to stay at the Marriott on 49th and Lexington, and with an outrageously inexpensive flight from Charlotte to Newark, we headed off to New York City on November 21 to walk in the most famous parade on the planet. 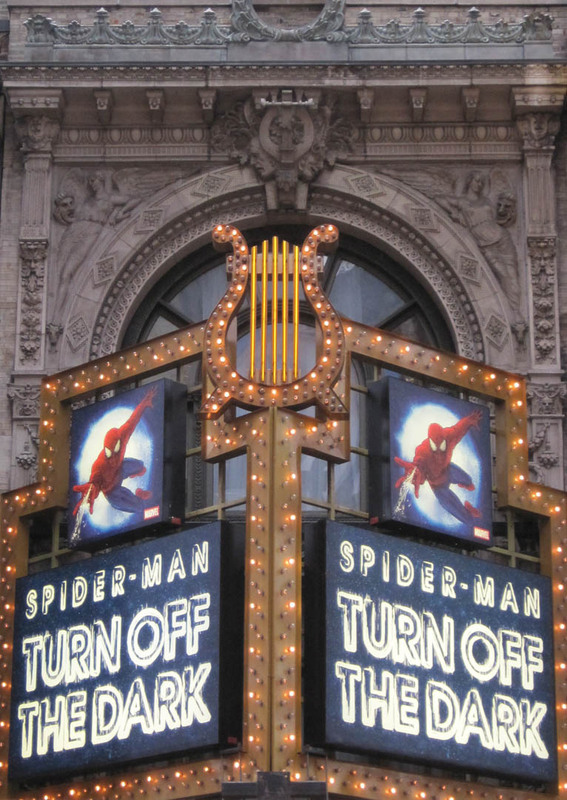 First, we took in the Broadway performance of Spiderman at the Foxwood Theatre on Tuesday night after a taping of the David Letterman Show that afternoon to prepare ourselves for what was to come. The rush seats we had gave a perfect view of the flying sequences, but everything stage left was blocked so it was hard to see some of the actors. Even so it was a great way to start the week. Two attempts at winning lottery tickets to the Book of Mormon on Wednesday fell flat, and so did our trip to Macy’s to sit on Santa’s lap (turns out the old guy leaves the North Pole for Macy’s Thanksgiving Eve, and because of the parade, doesn’t actually make it into the store until the day after) and go ice skating at Rockefeller Center (Justin Bieber was shooting a segment for the Christmas Tree lighting on November 30 so the rink was closed to the public). By Thursday morning, I was about to burst. We left a wake up call for 4:30 in the morning to give us time to pack our stuff and check out of the hotel. By 5:30 we were on the subway headed to 34th and Penn Station, and as we rounded the corner to the hotel where we would get dressed, the line of volunteers stretched past us for two entire blocks. 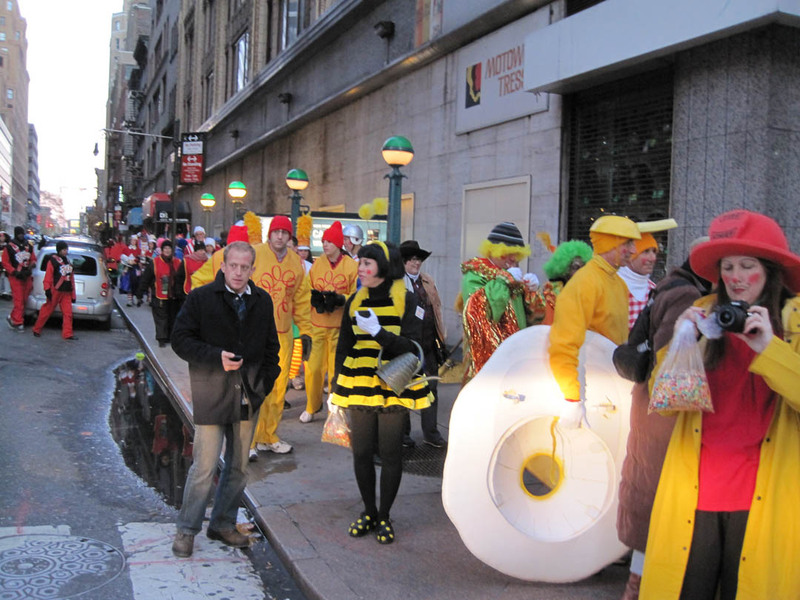 My excitement level peaked when the delivery door to the hotel burst open and several people dressed as bees, bananas, and bacon and eggs rushed out onto the street. Pretty soon we were in the lobby and on our way to the fourth floor where there were signs all over the place for the big balloons. Kermit the Frog and the Sonic Hedgehog were down the hall to the left, while Ronald McDonald and Square Bob Spongepants were at the other end of the corridor. I stopped to use the restroom before putting on my jumpsuit, and fought to hold back my laughter. There were clowns, pilgrims and cowgirls all waiting to use the facilities, and if we were allowed to have cameras in the hotel, I would have taken a picture because it was an absolute riot. 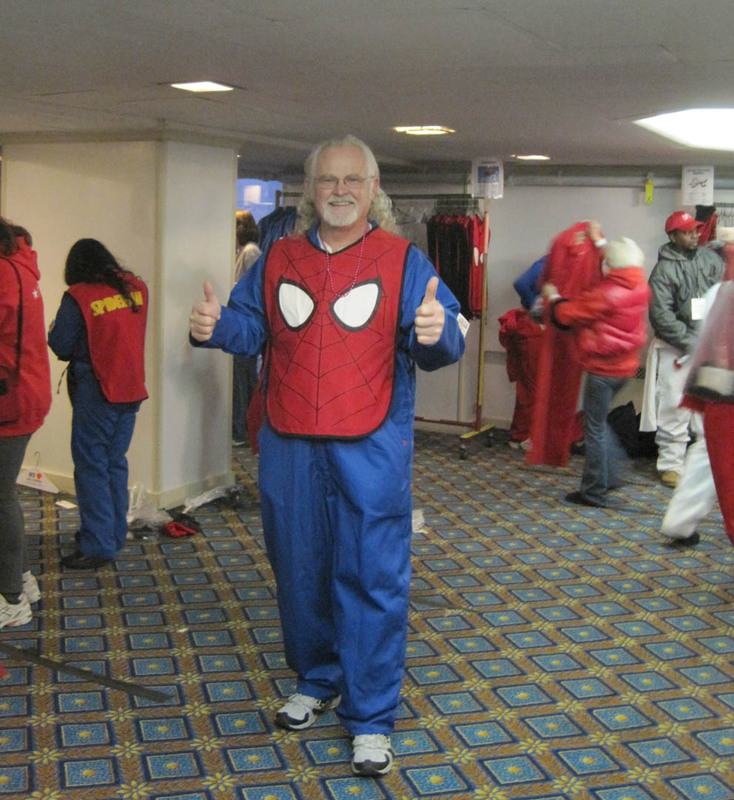 We dressed in our Spiderman jumpsuits, which consisted of blue coveralls, red vests with Spiderman eyes on the front an the word, Spiderman on the back, grabbed our red knit caps and fur lined gloves and boarded a bus for the flight line. 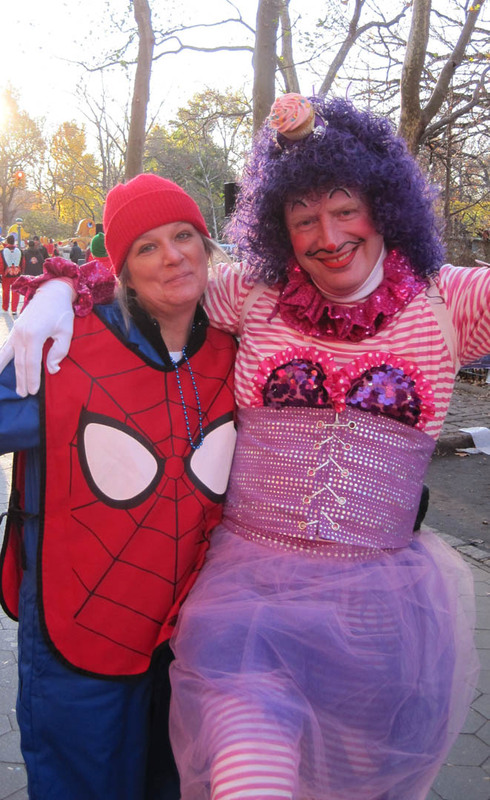 We sat across the aisle from Mother Goose and some beefy men dressed as fairies in purple wigs and tights, then headed for the Spiderman balloon on 81st street beside the Natural History Museum. 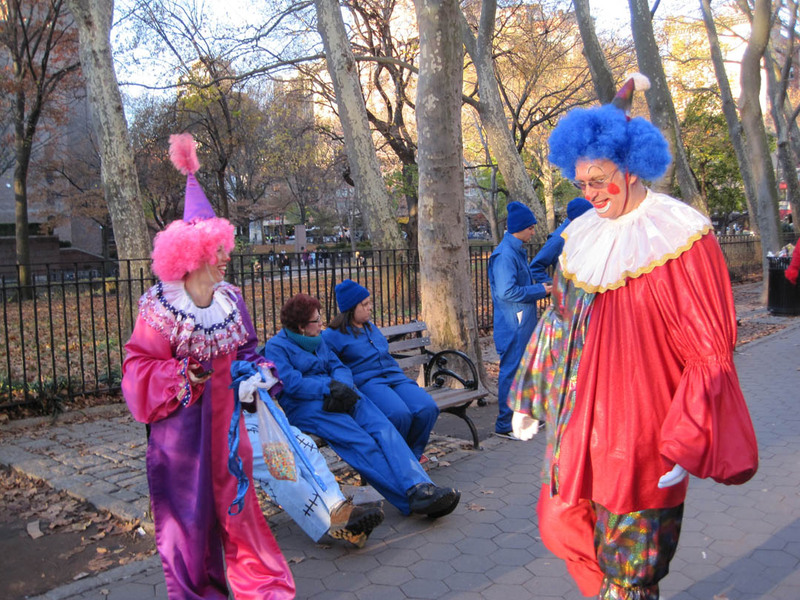 The parade starts on Central Park West, so balloons, floats, performers and bands all filter in from different side streets. 650 teenaged girls were literally squashed together at the entrance to the parade in an effort to stay warm, dressed in thin nylon costumes, leggings and fingerless gloves, while marching bands and Southern Belles in gigantic pastel dresses milled about. After a brief tutorial on proper balloon etiquette and directional signals, we took up our positions. Michael and I were in the very front, and as we stepped onto Central Park West, the view was amazing. It was 50 degrees and clear as a bell. The street lights and traffic signals were moved up against the buildings, and between the barricades and 80 billion police, the street was wide open. The NYPD Marching Band was right in front of us (we weren’t behind any horses, thank god) and up ahead, Uncle Sam bobbed along against the clear blue sky. There were people EVERYWHERE. Stacked several dozen deep on the streets, and in the apartment buildings and office buildings above us, people were gathered at the windows and on rooftops to watch the parade go by. 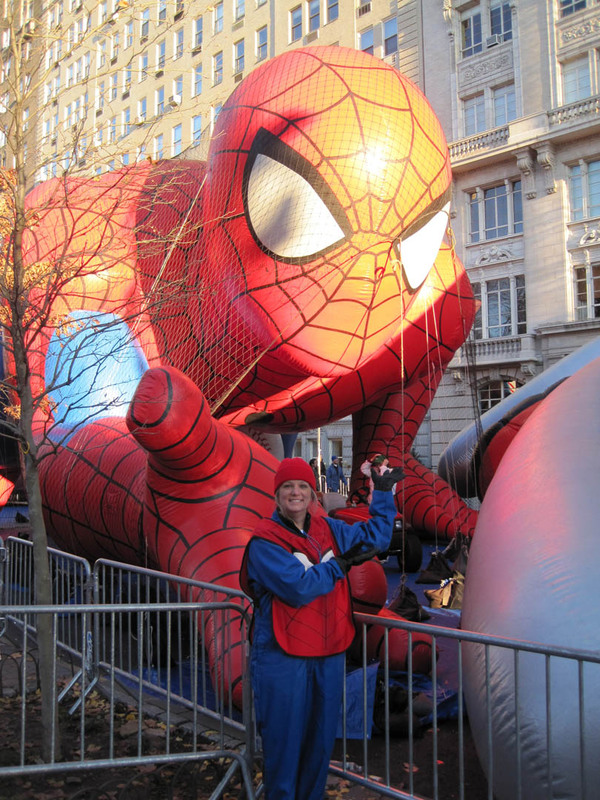 We had a man dressed in a Spiderman costume who was sent by Marvel comics to work the crowd, and he ran from one screaming group of kids to the next for photos and handshakes as we walked down the street. I think the thing I loved the most about the parade was how it ended. Just past the Macy’s grandstands, the parade just stopped. Meaning the bands went that way and the floats went this way and the balloons went down a street covered with a tarp where we deflated Spidey, rolled him up and loaded him into a giant basket, then headed back to the hotel to change out of our jumpsuits. People were disassembling the floats on all the side streets, and loading individual parts into bags, while cartoon characters in costume were assisted onto golf carts and whisked them away to destinations unknown. The streets were jammed with people trying to get home for Thanksgiving dinner, so the train station to Pearl River, where we had dinner, was a zoo, but all in all it was a total trip and I can’t wait to do it again next year!